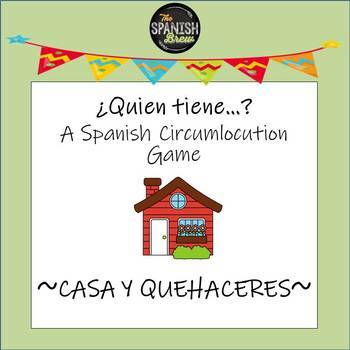 Students will practice vocabulary relating to the house and chores using circumlocution skills. 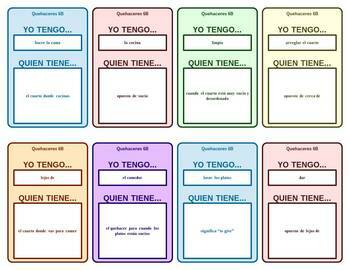 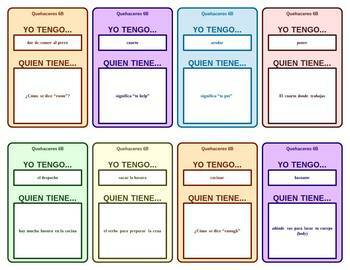 Your students will get a ton of comprehensible input and will stay in the target language. 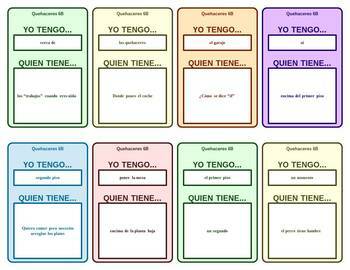 They can play three different types of games with these cards including a relay race, finding a partner, and finally a matching game.